In addition to their medical concerns, seriously ill children experience a multitude of emotional challenges including isolation, fear and uncertainty. When Paul Newman founded The Hole in the Wall Gang Camp in 1988, he wanted to provide these children with a hideout where they could escape their illness and just be kids. What he didn’t anticipate was the incredible healing impact of being surrounded by others who understood the challenges they face. At Camp, these brave children find a community of acceptance where friendship, joy and laughter help restore hope. They are free to be their best selves, to challenge perceived limitations and discover they are so much more than their illness. What started as a summer camp serving 288 children its first summer has expanded to now provide “a different kind of healing” year-round to more than 20,000 seriously ill children and family members annually. 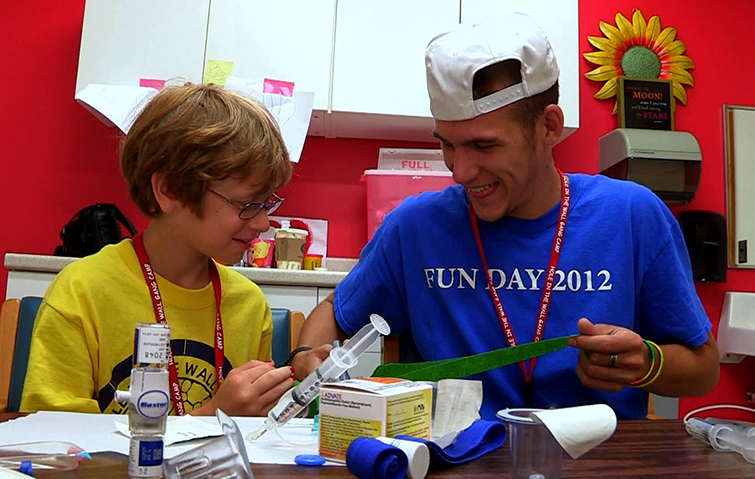 The summer program now offers seven week-long sessions for seriously ill children and one for their healthy siblings, providing a Camp experience to more than 1,100 children. Additionally, the Camp offers family weekends in the fall and spring where parents, caregivers and siblings can enjoy the magic of Hole in the Wall together. What many people don’t realize is that behind every sick child is a family in crisis. Like the seriously ill child, the rest of the family also struggles with isolation, fear and uncertainty. At family weekends, the entire family experiences the simple joy of being together away from the stress of medical treatments. They are able to forge new friendships with those facing similar challenges and fill their days with fun and laughter. Beyond the gates, Hole in the Wall offers year-round Hospital Outreach in more than 40 locations from Boston to Philadelphia. A team of more than 35 full-time specialists bring Camp-style games and activities directly to children, many of whom may not be able to come to Camp. 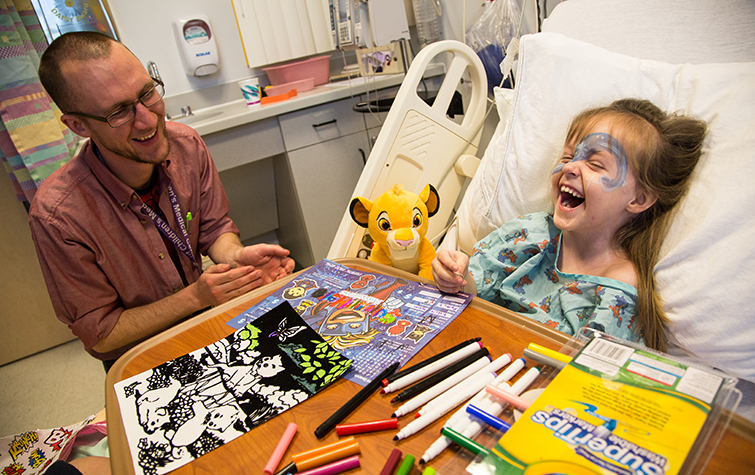 Whether right at their bedside, during a playgroup activity or through special events, patients are able to escape their worries and just be kids. Similarly, Family Outreach programs bring Hole in the Wall magic into the community, in camper homes, at regional events and during parent retreats. 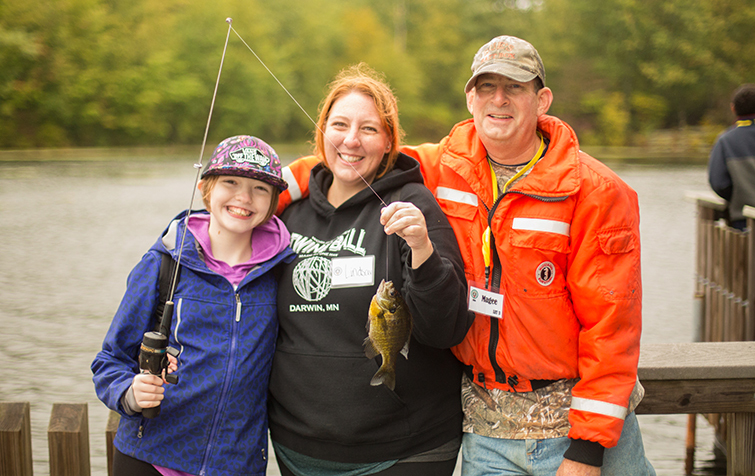 Through CampOut, COPE and other programs, Hole in the Wall’s Family Outreach give everyone a chance to recharge while enjoying Camp activities and building a network of support that helps caretakers be resilient through the ups and downs of their journey.